This shaggy heart dress is too cute! 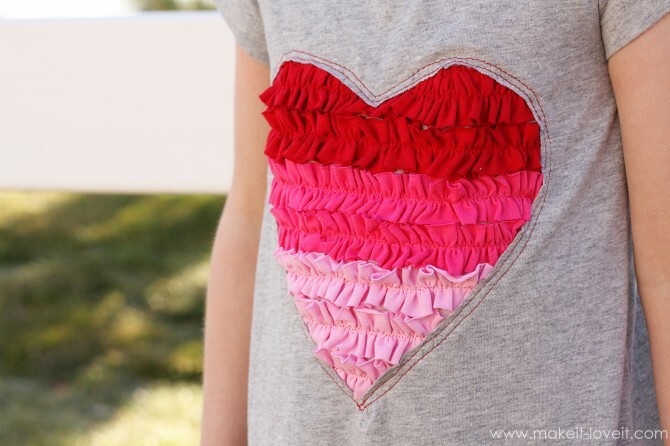 Ashley created it for her little one to wear on Valentine's Day using old t-shirts. I think it would be really cute on a t-shirt too. Maybe with a smaller shaggy heart on the bottom of an adult size shirt. Why should the kids have all of the fun? I mean a mom has to dress up when she goest to school to throw a class Valentine's Day party too. And if you can sew a ruffle, Ashely has another option for you. 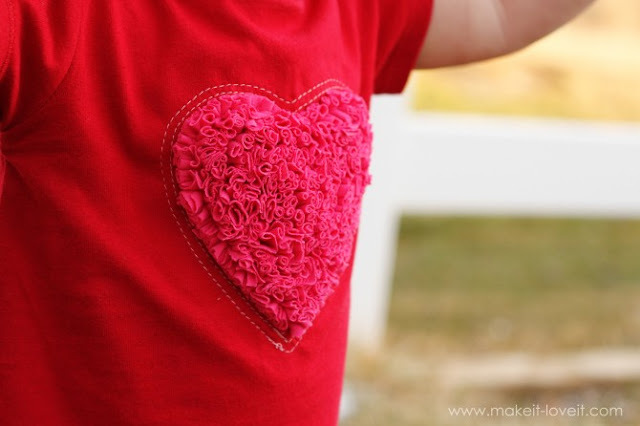 This fun ruffled heart valentine dress. You can check them both out over at Make It and Love It.